"Error while loading shared libraries: libts-0.0.so.0: cannot open shared object file: No such file or directory"
Sorry for the inconvenience and thanks to the users reporting this! H-Craft Championship on Android and open source! We proudly present our first Android game. H-Craft Championship's beautiful 3D graphics are now available on mobile devices. It's controls got reworked and finetuned and flying over the tracks is more fun than ever. Get H-Craft Championship for your Android devices at Google play. It's free to play and if you prefer you can upgrade to an adfree version. So from today on we share the complete H-Craft Championship source code with all of you! Check the details at our H-Craft source page. We got much feedback about the controls over the years, so we decided to work on those. - H-Craft still has this dream-like quality of flying over the tracks on a cushion of air. - There are now energy walls around the tracks preventing falling off in many situations. - Experts can still take short-cuts at corners. - Steering has been fine-tuned to allow more control over the H-Crafts. Additionally there have been many changes under the hood. The Linux versions is now running on 64 bit and switched to OpenAL-Soft. We hope this does fix the start problems some Linux systems had in the past. Also our Android port has been finished and we are currently working to get it on google-play! H-Craft Championship is now free! It should run on most Windows and Linux systems. If you love the game check back in a few months! We're working on an Android version which will be released for a very low price. edit: Some 64-bit Linux users report crashes on start. Also some have sound-troubles. Sorry for that. In most cases it's possible to get it running by installing 32-bit compatibility libs. Otherwise please try the Windows exe using WINE. The next release will hopefully work better on 64-bit Linux. We plan to release it together with the Android version. Sorry everyone for the long down-time. But good news - H-Craft Championship is back in development. Well, we did not post much news lately, but that does not mean we have been lazy. Some people already wondered what we are up to, here is part of the answer...prototyping. Below you find links to two featurepages, each covering a game which might happen to become our next scifi racer. 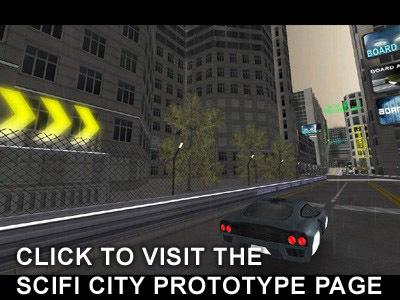 The first one wields a city-styled environment, it`s about futuristic streetracing. 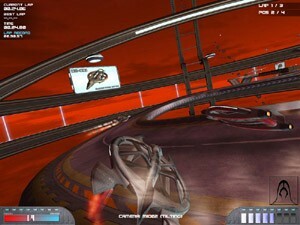 The second is about dirty scifi rally racing, pretty arcadey, with colorful settings. Both are indirect successors to H-Craft, in that they will try to maintain and improve on the original`s feeling. So that was the happy news, but we still have to get the financing done before any of these will come real. The idea is to find one or more sponsors who would be interested in advertising with the games, we already have some nice features in mind for that purpose. In return this would enable us to release the game for free. We think that`s a great opportunity for players to get a great new racer, for sponsors to get very worthy advertising, and for us...to get it done. As for now, have fun checking out the feature pages. Possible sponsors or businesspartners are very welcome to get in touch with us by sending a mail to lossack@irrgheist.com . We recently finished works on patch 1_2 for H-Craft Championship, which contains some major updates. First of all, H-Craft is now compatible with Matrox TripleHead2Go�, enabling gamers to experience H-Craft on 3 screens simultaneously. Linux users who experienced problems with sound will be happy to hear that the patch should fix this bug. A random startcrash which occured on some systems also got adressed and should be history now. A couple of smaller issues got fixed as well, please visit the Support Forum for the complete change list. Manifestogames also updated the H-Craft Demo. Of course our own Demo page got updated as well. Akella recently released the fully localized, russian version of H-Craft Championship. We are very happy to announce H-Craft Championship is now available at Manifestogames ! 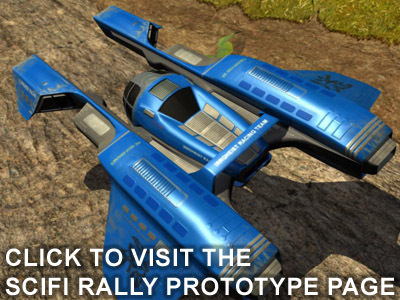 Of course you can also get a Demo of the game there and have some fun on three beginner-tracks. 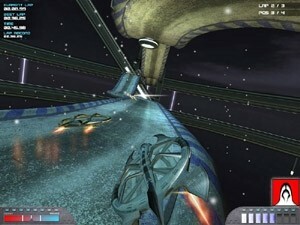 For more information on the game please visit our Games section. It`s been a while since our last news, but we certainly haven`t been lazy. The work on H-Craft is finished, and fortunately it really shaped up to be the game we had hoped for. As for now we added 2 new screenshots to the Games section. A new Trailer will be available pretty soon as well! a screenshot update. Take a look at the Games section. what to expect. You find it at the Games section. games we work on, link you to related downloads, and offer gamesupport. be released. 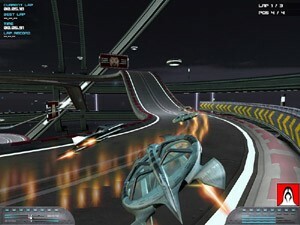 It`s a fancy little scifi-racer and definitely great fun to play. Have a look at it yourself at the games section.